Castizo (Spanish: [kasˈtiθo] or [kasˈtiso]) is a Spanish word with a general meaning of "pure", "genuine" or representative of its race (from the Spanish: "casta"). The feminine form is castiza. 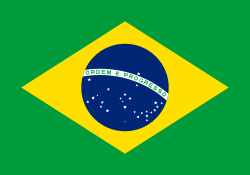 From this meaning it evolved other meanings, such as "typical of an area" and it was also used for one of the colonial Spanish race categories, the castas, that evolved in the 17th century. In Latin America Castizo is used to describe the individuals with an admixture of 75% European and 25% Native American. Under the caste system of colonial Spanish America, the term originally applied to the offspring resulting from the union of a European and a mestizo; that is, someone of three quarters European and one quarter Amerindian ancestry. During this era, some other terms (mestizo, cuarterón de indio, etc.) were in use to denote other individuals of mixed European and Amerindian ancestry in ratios smaller or greater than that of castizos. Under this same caste system, the offspring of a Spaniard and a Castiza was classified as a criollo (legally, a Spaniard born in the Americas), thus the offspring regained his or her purity of blood. (See the related concept of Limpieza de sangre.) For castizos whose residual quarter of Amerindian ancestry was not apparent at all, many simply consolidated themselves within the criollos and Peninsulares (Spaniards born in Spain). With the fall of the Spanish Empire, the numerous caste terminologies fell out of use and lost all meaning, other than the categories of White, Black, Amerindian, and their three possible resulting combinations: mestizo, mulato and zambo (the latter three, now without blood quantum connotations), as these legal categories were seen as incompatible with the new concept of citizenship. Furthermore, by the second part of the 19th century, most Hispanic countries had abolished even these surviving categories of distinction among their citizens, and so the racial heritage of a person was no longer compiled by the state as part of the individual's civil record, whether to legally hinder or privilege him in matters of civil life. Some countries, however, have recently reintroduced voluntary and anonymous declarations of race (or race mixture) in recent population censuses for statistical purposes, with no legal consequence to the individual. A person who formerly would have been deemed a castizo would today simply identify as mestizo or White. The word "castizo" itself has lost all racial meaning. 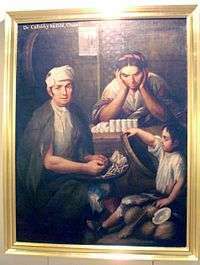 Castizos were located in the Spanish territories in America and some Portuguese parts (Brazil ), they were in regions where arrivals and European settlements with small indigenous communities, so that the mestizos of these areas would be mixed with europeans resulting in a large population with mostly caucasian traits. Today they are scattered in almost all Latin America but many focus on specific countries or regions of the same . ARGENTINA: Since most of European immigrants arrived in Argentina during the twentieth century were men, many of these were mixed with mestizo women giving rise to a population partly castiza who returned to mixed with Europeans over and over again. Recent studies show that nearly 60% of Argentina's population has at least one ancestor of Native American or African origin, and that the average Argentinian is about 74% European and 23% Amerindian. BRAZIL: Castiza population of Brazil was mainly in the center of the country because of the great cultural diversity that occurred in that area that were whites, mestizos, African minorities and some indigenous groups mainly in places like Río de Janeiro, Espírito Santo, Minas Gerais, Goias and Brasilia. CHILE: It might be the country with the highest percentage of castizos of America. They are located mainly in the central valleys of the country, in cities such as Santiago, Valparaíso, Viña del Mar, Rancagua and Talca. 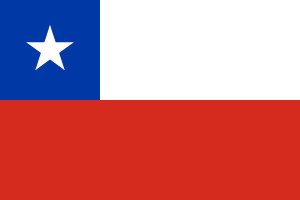 They also constitute an important percentage in Northern and Southern Chile. In Chile whites and castizos together represent the country's largest ethnic group. COSTA RICA: It could also be the country with the highest percentage of castizos of America due to continued European immigration and mixing with the mestizos. Castizos are located in almost all the national territory. 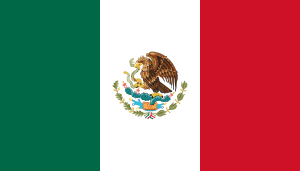 MEXICO: Castiza population in Mexico is located mainly in north and west of the country. These areas have a similar castiza and white population to Costa Rica or Chile. PARAGUAY: The population of Paraguay will be considered mainly castiza due to the various europeans who came to repopulate the country after the War of the Triple Alliance that caused the partial loss of the original mestizo and indigenous population, which resulted that the immigrant population arrival after the war the country mixed with the mestizos and resulting in a large castiza population. PERU: Peruvian castizos are concentrated in the departments of Lima, Cajamarca, Arequipa, La Libertad, Lambayeque and Piura, especially in major urban centers. A geographic area where this population is in a high percentage with respect to the local population, is the northern highlands, including the Ceja de Selva adjacent and the highlands of the departments of the north coast. 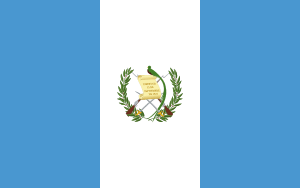 GUATEMALA: Most Guatemalan castizos inhabit the eastern region of the country such as the departments of Zacapa, Chiquimila, and Jalapa. Items associated with Castizo culture are the street swivel piano, barquillos, Schottisch music (spelled as chotis) and Manila shawls. Casticismo is a tendency among Spanish and Latin American intellectuals to reject foreign loanwords and stick to traditional Spanish roots. An example is deporte, a word recovered from Medieval Castilian meaning pastime, that successfully replaced the Anglicism sport, which has the same Latin origin as the Spanish word. It's closely related to costumbrismo in literature. ↑ "Castizo," Diccionario de la Real Academia.